“I say it’s spinach and I say to hell with it.” That’s more or less what old man Vega said the first time he tasted broccoli. This was back in the early 70’s when broccoli was unknown in local Spanish markets. In our small garden plot, we were growing just two vegetables, broccoli in the winter and sweet corn in the summer. Broccoli did very well in our sun-baked huerta (garden). (Sweet corn did not.) 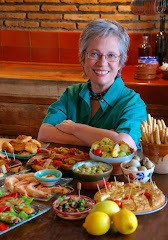 I took a basketful of it to Maria who did the cooking at the tapas bar where Vega was a regular. Vega farmed an irrigated plot below the village and regaled us with his tomatoes and peppers. I had visions of becoming a broccoli entrepreneur--Vega would grow it and I would market it. María had never eaten broccoli before, either. 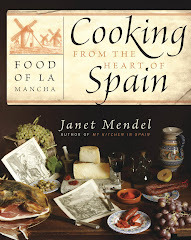 She gamely prepared it, sautéed and mixed with eggs in a tortilla, pretty much the way she made spinach tortilla for the tapa bar. But, for Vega, that was the beginning and the end of the broccoli campaign. We should have stuck with it! By the 1990s, broccoli began appearing in Spanish markets. Now it’s a cash cow in the agri-business. 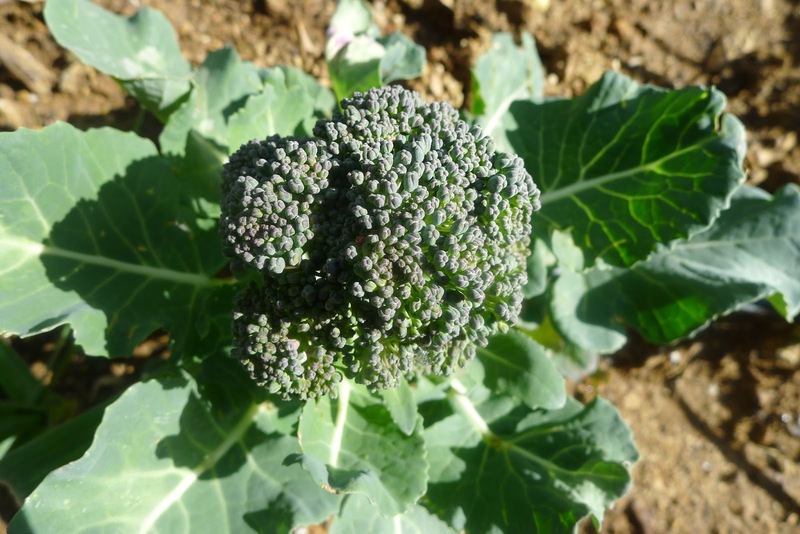 More than 60 percent of the broccoli grown in Spain, mostly in the province of Murcia (eastern Spain), is exported. 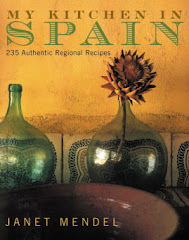 My guess is that the other 39 percent that stays in Spain is being consumed by expats like me, who love this veggie, because I still don’t see Spaniards eating it. 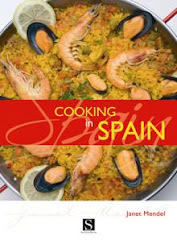 Maybe that’s about to change, with a current PR and marketing campaign (see the article at Foods From Spain). Thirty-five restaurants around Spain are including broccoli on their menus. Top Spanish chef, Rodrigo de la Calle, even cooked broccoli at Madrid Fusión, the big gastronomy event in January. And if, after all these years, broccoli is trending, can kale be far behind? While there aren’t any traditional Spanish recipes for broccoli, recipes for other vegetables, such as cauliflower, can be easily adapted for broccoli. As a side, I like broccoli straight-up, with just extra virgin olive oil and lemon juice. I use leftover cooked broccoli scrambled with mushrooms and eggs for a revuelto. Here are two more ways to get broccoli talking Spanish. 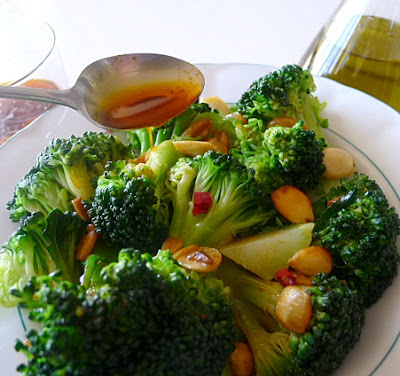 Broccoli with a quick sauce of olive oil, garlic, almonds and pimentón. Before there were trucks and trains, muleteers once transported wool and wheat from inland regions to the seaboard for shipping abroad and carried salt-fish and other imports to the interior. En route, they stopped at rustic wayside inns, where the wine was rough and the food was simple. You can expect to find garlic in any dish prepared “mule-driver’s style.” This simple hot dressing is added to cooked vegetables or salt cod. The almonds in this version are a bit of a refinement. Using smoked pimentón (paprika) gives an extra dimension to the broccoli. 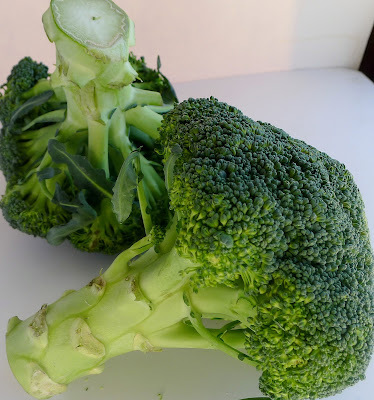 Cut broccoli into 2-inch florets. Peel the stem, cut in half lengthwise, and cut crosswise into 2-inch pieces. 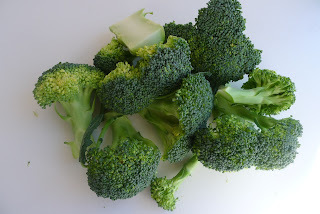 Cook broccoli in boiling salted water until tender, 6 to 8 minutes. Drain and place in a warm serving bowl. While broccoli is cooking, heat the oil in a small skillet. Add the sliced garlic and almonds and fry them until they begin to turn golden, about 30 seconds. Remove the skillet from the heat. Stir in the red pepper flakes and pimentón and immediately the vinegar and 3 tablespoons of water. Add the chopped parsley. Spoon the garlic and almond dressing over the broccoli. Serve immediately. 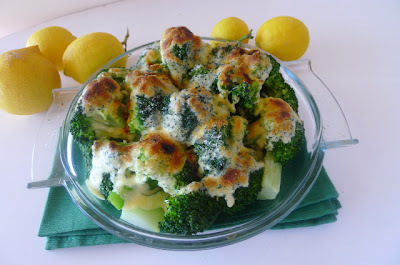 Broccoli gratin with garlicky-lemon alioli. Put the garlic and egg in a blender and pulse until garlic is finely chopped. With the motor running, pour in the oil in a slow trickle, allowing it to be absorbed by the egg before adding more. Blend in all the oil. The sauce will emulsify and thicken. Blend in the salt and lemon juice. The sauce will keep, refrigerated, for up to 2 days. Makes 1 cup of sauce. Cook the broccoli in boiling salted water until crisp-tender, 4 minutes. Refresh in ice water (this keeps the broccoli bright green) and drain well. 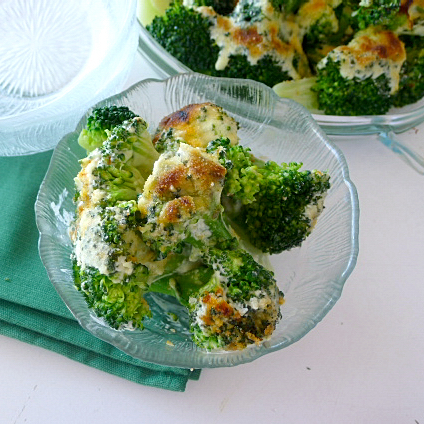 Spread the broccoli in a single layer in an oiled oven-safe pan. Pour the alioli over the top of the broccoli. Sprinkle with bread crumbs and a little pimentón. Place the pan under a preheated broiler until the top is golden, about 5 minutes. Serve hot. 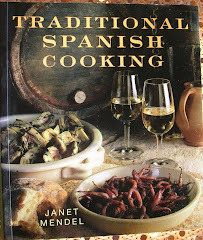 I never realized that Spaniards don't eat a lot of broccoli until now. I mean, I see it at the local fruit shops, but my suegra never makes it! I mean, not once. I do love it, though, and kale as well! We can only hope kale is making its way here soon. Kaley: You see what I mean? Try the ajo arriero recipe for broccoli and see if your suegra likes it. I'm growing kale--have taught my gardener to pronounce it kah-lay--a little like co-lay, cole, cabbage. But he's not about to eat it! 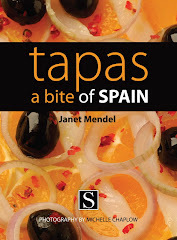 Hi Janet, do you have an email I can get in contact with you on- I write for a British food magazine and would like to feature a small review of your lovely blog in my column.